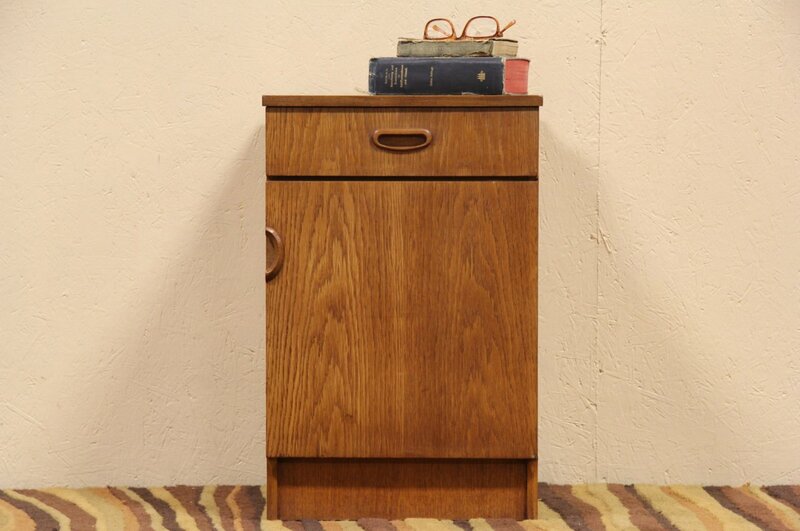 A genuine teak Midcentury or Danish modern nightstand or end table dates from around 1960. All original, the finish shows a little wear and mars at the edges, see photos. Carved pulls are original on this vintage furniture from Denmark, signed "Remploy." The drawer has dovetail joints and the door swings on a brass piano hinge. Size is 15" x 15" and 23 1/2" tall.